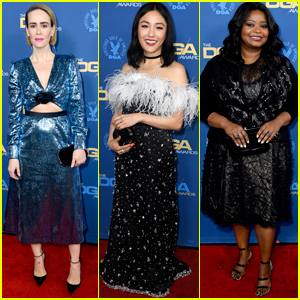 Sarah Paulson, Constance Wu, and Octavia Spencer sparkle on the red carpet as they arrive at the 2019 Directors Guild of America Awards on Saturday night (February 2) at the Ray Dolby Ballroom in Hollywood, Calif. The ladies were joined at the event by The Americans stars and real-life couple Keri Russell and Matthew Rhys. Other stars at the event included Linda Cardellini, Aisha Taylor, and Lisa Edelstein. FYI: Constance is wearing a Miu Miu dress, Melinda Maria earrings, and Graziela Gems rings while carrying a Miu Miu clutch. Sarah is wearing a Miu Miu dress, Jimmy Choo shoes, and Nikos Koulis jewelry while carrying a Tyler Ellis clutch. Octavia is wearing Vhernier and Le Vian rings. 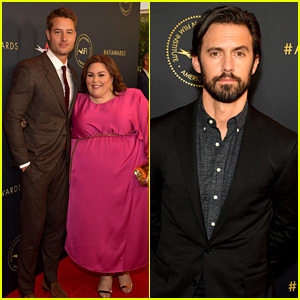 Milo Ventimiglia, Justin Hartley, and Chrissy Metz walk the red carpet at the 2019 AFI Awards Luncheon on Friday afternoon (January 4) at the Four Seasons Hotel in Beverly Hills, Calif. The This Is Us co-stars were joined by fellow castmates Susan Kelechi Watson and Chris Sullivan. The show is being honored as one of the Top 10 TV Programs of the Year. 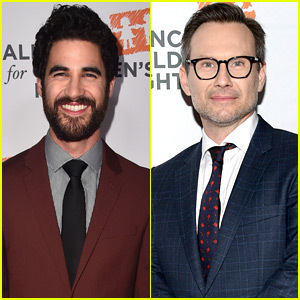 Other stars stepping out to support their shows, which also made the list, include Barry‘s Bill Hader and Henry Winkler, The Kominsky Method‘s Lisa Edelstein, Better Call Saul‘s Bob Odenkirk, and Succession‘s Kieran Culkin, Alan Ruck, and Jeremy Strong. The other shows honored on the Top 10 list this year are The Americans, Pose, The Assassination of Gianni Versace: American Crime Story, Atlanta, and The Marvelous Mrs Maisel. Ginnifer Goodwin strikes a pose on the red carpet alongside her handsome hubby Josh Dallas while attending the photo op screening of Obey Giant held at The Theatre at Ace Hotel on Tuesday (November 7) in Los Angeles. 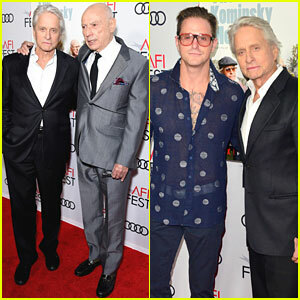 The 39-year-old actress and Josh, 38, were joined at the event by LL Cool J, Zoe Bell, Tom Franco, Terry Crews, Lisa Edelstein and artist Shepard Fairey himself. Obey Giant takes us deep into the underground world of street art, profiling the rise of artist Shepard Fairey from his roots in punk rock and skateboarding, to presidential politics�”through his iconic Obama “HOPE” poster and the controversy that surrounded it. Obey Giant will be streaming November 11, only on Hulu – Watch the trailer below! FYI: Ginnifer is wearing an Ulla Johnson dress. Laverne Cox is the lady in white as she hits the red carpet at the closing night gala and screening of her new film Freak Show held as part of 2017 Outfest Los Angeles LGBT Film Festival on Sunday (July 16) in Los Angeles. The Orange is the New Black star was joined at the event by co-stars Alex Lawther, Ian Nelson, director Trudie Styler, writer James St. James, as well as Courtney Love, Matt Dallas and Lisa Edelstein, who all came out to show their support. Based on James St. James award winning novel of the same name, Freak Show is the story of high schooler Billy Bloom (Lawther) and his journey towards acceptance in a conservative town. Abigail Breslin, AnnaSophia Robb and Bette Midler also star in the flick – Watch a clip below!